After spending almost 20 years in the industry at various firms, I was really drawn to the culture at BDF. The mission, vision and core values of the firm truly aligned with mine and there is a great leadership team here. Also, I love being able to work with smart people. I knew that BDF would be the right place for me to serve clients and my community. I wish every person knew that they are not alone. There are people who genuinely want to help them achieve their goals. They are also not alone in their experiences, good or bad, with money. Having worked in a service capacity for most of my career, I know the importance in asking the right questions and having good listening skills. I especially love working with women who are working hard to juggle family, work and life because I can relate to how rewarding it is to have it all. You can find me at my gym very early almost every morning. Otherwise, I’m probably driving my teenagers around to their various activities. On weekends, I love hanging out with my family around a good meal or movie. I love hearing our clients’ unique stories. These stories usually involve hard work, dedication, and perseverance. I also love hearing stories of the life our clients want to live, their goals and aspirations for their future and their family’s future. Lastly, I love hearing how clients are currently living a full life. 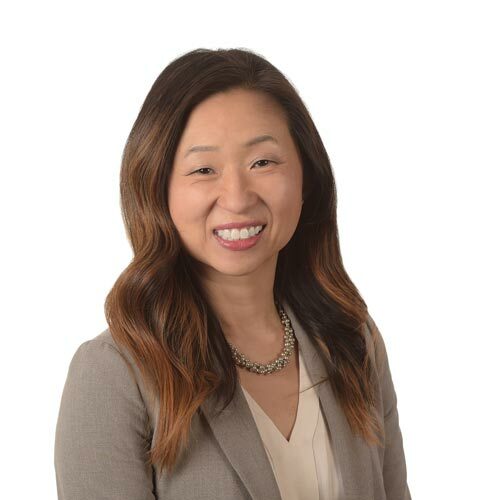 Jenny Chung, CFP® earned her Master’s in Education and was a teacher before transitioning her career to financial services. She finds that she often uses a lot of the skills she used as a teacher in her work, especially those of listening and assessing what clients are communicating. She has been working in financial services for about 20 years and most recently came from several years at Morgan Stanley wealth management. She has served in the industry in many different capacities in the industry including roles in marketing and management. As a Wealth Manager, Jenny seeks to work with individuals and families to help them live a full life. She especially enjoys helping people while they are going through major transitions in their lives such a divorce, the death of a spouse/parent, transitions in careers and decisions regarding retirement. It’s in those times that clients truly need help navigating new territory and she feels it’s an honor to be able to help clients do so. Jenny is CERTIFIED FINANCIAL PLANNER TM professional through Northwestern University’s certification program. She earned a Bachelors of Arts from the University of Illinois and her Masters in Education from the University of Illinois in Chicago. She and her husband have three children.